Markings on a remnant of a CBU-58 cluster bomb found near al-Zira`a Street in Sanaa on January 6, 2016 indicating that it was manufactured in 1978 at the Milan Army Ammunition Plant in the US state of Tennessee. The al-Zira`a Street resident said that neither neighborhood had been hit by airstrikes before January 6. The nearest military installations, a small office, and a garage used by military guards, were about 600 to 800 meters from the al-Zira`a Street neighborhood. Even if the attacks were directed at the military targets, the use of cluster munitions meant they were still unlawful, Human Rights Watch said. 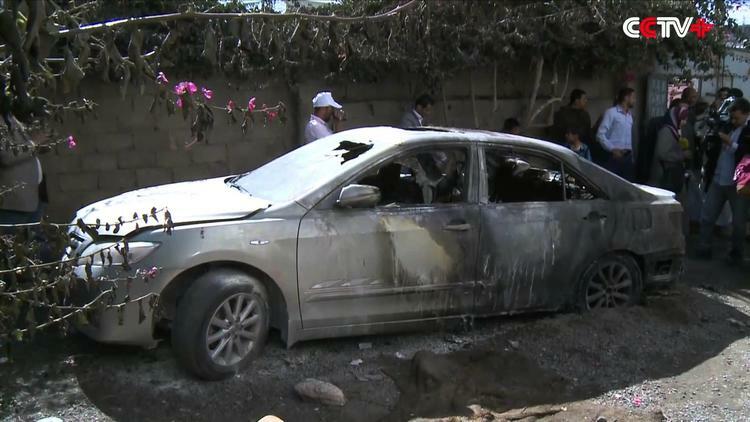 A third cluster bomb attack on January 6 was reported on social media by residents of Sanaa’s al-Thiaba neighborhood, although Human Rights Watch could not confirm this. Human Rights Watch viewed photographs taken on January 6 in Sanaa that showed unmistakable remnants of cluster munitions, including unexploded submunitions, spherical fragmentation liners from submunitions that broke apart on impact, and parts of the bomb that carried the payload. Human Rights Watch identified the munitions as from US-made BLU-63 antipersonnel/anti-materiel submunitions and components of a CBU-58 cluster bomb. Markings on the bomb remnants indicate that it was manufactured in 1978 at the Milan Army Ammunition Plant in the state of Tennessee in the United States. Each air-dropped CBU-58 cluster bomb contains 650 submunitions. The United States transferred 1,000 CBU-58 bombs to Saudi Arabia sometime between 1970 and 1995, according to US export records obtained by Human Rights Watch. The US is a party to the armed conflict in Yemen, playing a direct role in coordinating military operations, and as such, is obligated to investigate alleged violations of the laws of war in which its forces took part. The CBU-58 cluster bomb and BLU-63 submunition were developed by the US during the Vietnam War and are designed to attack personnel and lightly protected materiel. The submunitions also contain 5-gram titanium pellets that produce an incendiary effect on flammable targets. BLU-63 submunitions that broke apart on impact after being dispersed by CBU-58 cluster bombs in the Hayal Sayeed neighborhood of Sanaa on January 6, 2016. Neither Yemen, Saudi Arabia, nor any of the other coalition countries are party to the 2008 Convention on Cluster Munitions, the international treaty banning cluster munitions. A total of 118 countries have signed and 98 have ratified the treaty. Human Rights Watch is a co-founder of the Cluster Munition Coalition and serves as its chair. On November 17, the US Defense Department announced that the State Department had approved a sale of US$1.29 billion worth of air-to-ground munitions, such as laser-guided bombs and “general purpose” bombs with guidance systems – none of which are cluster munitions. The US should not sell aerial bombs to Saudi Arabia in the absence of serious investigations into alleged laws-of-war violations in Yemen, Human Rights Watch said. The UN Human Rights Council should create an independent, international inquiry into alleged violations of the laws of war by all sides.